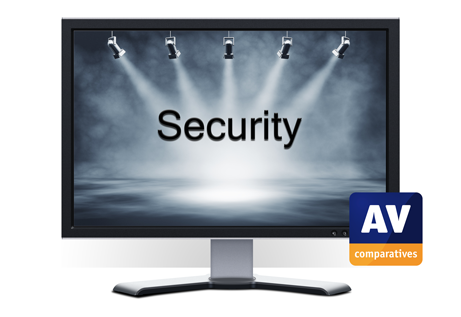 Starting from June, AV-Comparatives will highlight an interesting event, idea, initiative, announcement or product which will make the digital world a safer place to surf and live in. We will kick off with an interesting piece of software originally developed for the Raspberry Pi, called Pi-hole. Pi-hole is basically an adblocker which works at the network level. Pi-hole now also runs on Linux hardware and virtual machines. You may think big deal, I already use a a host file or browser extension to block trackers and advertisements. On top of that I am using Android, Apple and Windows devices, not Linux. So why does Pi-hole deserve to be highlighted in our new “spotlight on security” blog series? Well, besides blocking advertisements at the earliest stage possible (at first DNS request) it has some interesting features and applications. Furthermore, Pi-hole is open source and free to use. Your old TV set-top and your new Smart TV already connect to the internet. Soon your car will inform your air conditioning or central heating that you are leaving work and start the microwave or oven to prepare your meal. The Internet Of Things (IoT) will increase the number of devices connected to the internet in our house. Blocking advertisements by installing software on clients will become a tedious task. Most of these devices probably won’t allow you access to the OS or pre-installed software anyway. This is where Pi-hole comes to the rescue. Pi-hole is a black hole in which internet ads and bugs disappear by blocking trackers and advertisements and trackers at the network level for all IoT-devices in your home. People unfamiliar with linux can rest assure. The installation of Pi-hole is well documented and supported with an automated one step script, which can be copied from a website. Pi-hole has a well-designed and easy-to-use web interface, so anyone can whitelist domains or add blocklists. The Web interface offers a wealth of information, informing you what goes on in your network. The graphical interface shows how many ads were blocked, a query log, and more, like top domains visited and top advertisers blocked. The smartphone has had a huge impact on how we communicate and socialize with other people. Will the IoT have a similar effect on how the digital agents on our devices communicate with each other? Some antivirus companies are already anticipating the new security issues this network of interrelated devices will cause. AVG (Ally), Bitdefender (Box) and Norton have announced or launched antivirus solutions embedded in routers developed for the home and SOHO (Small Office and Home Office) market. At AV-Comparatives, we will be keeping an eye on this new trend and will keep you informed of the latest developments.